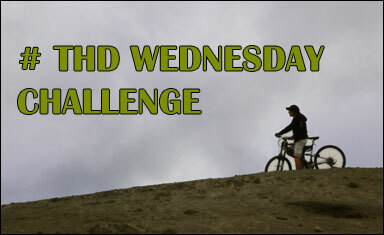 The Wednesday Challenge is here once again! This week, we want you to eat 5 or more servings of fruits and vegetables. According to ChooseMyPlate.gov, adults need 2 cups of fruit and 2.5-3 cups of vegetables every day. Fruits and vegetables are a great source of vitamins and fiber. They can also provide extra hydration, for those who aren’t big fans of drinking water. Getting 5 servings a day can sometimes be tricky. Everyone has different ways of getting their five a day. One tip for getting 5 or more servings is to have at least one fruit or vegetable with each meal and to have a fruit or veg as a snack as well. Eating a little throughout the day is much easier than trying to get all of your servings in one meal. What are your favorite tips for getting your 5 servings a day? Remember to check in with us through our Twitter hashtag #THDWednesdayChallenge so we know how you are doing. Zee (@zeethd) and Suze (@suzethd) will be munching on fruits and veggies with you! And you can join us on Facebook too!